Fantasy doesn’t necessarily have to consist of just monsters and magic and earth-shattering battles. Like science fiction, fantasy can be used to reflect our modern-day world and explore universal themes and emotions more effectively then most grounded true-to-life dramas ever could. I Kill Giants is such a fantasy, blending imaginative storybook elements with realistic mundanity to tell a story that goes far beyond the simple premise of a little girl fighting giant monsters. Based on Joe Kelly and J. M. Ken Niimura‘s 2008 graphic novel of the same name, I Kill Giants details the exploits of young Barbara Thorson (Madison Wolfe), a reclusive little girl who escapes into a world of make-belief wherein she alone does battle with a host of gigantic foes that threaten our world. Of course, there is more to the story then just simple flights of fantasy, providing the film with an element of mystery as to what is really going on with Barbara. The film offers a few clues, some of which are more subtle then others, but most will likely work it out for themselves by the time credits start rolling. 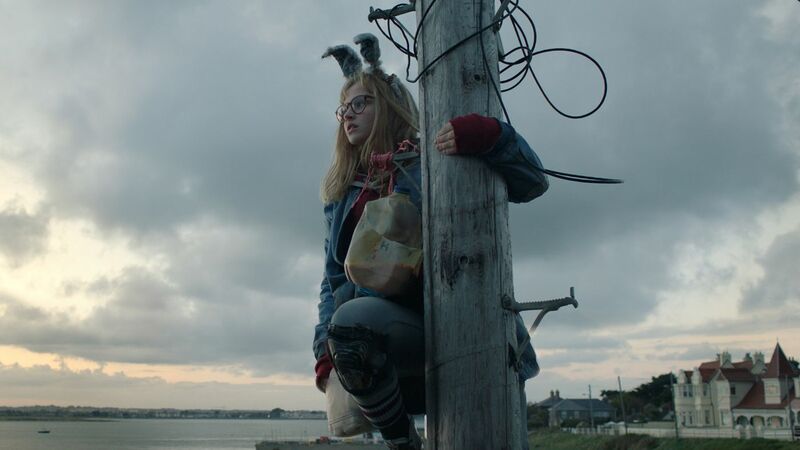 Of course, it’s this element that makes it so hard to really review I Kill Giants without drawing comparisons to another film with a similar central conceit. We won’t name the film here to avoid spoilers, but suffice to say, that film told this kind of story in a manner that was far more emotionally resonant and effective. I Kill Giants isn’t by any means bad, but its big twists are somewhat diluted by the fact that anyone who’s seen aforementioned predecessor will spot the big reveal coming a mile off. The audience is strapped in for the ride but the thrill just never quite sets in. The fantasy elements could easily skew proceedings in amore positive direction, but they are so few and far between that they barely register. Director Anders Walter uses this to some advantage, mounting the tension by teasing the giant’s full appearance with clever camera trickery during the film’s first half. But the film ultimately fails to deliver the more epic and fantastical elements it promises, instead spending more time in the real world. An appropriate choice but nevertheless underwhelming. If there is one major saving grace, it would be the performances – Madison Wolfe carries the film extremely well, delivering a layered performance that definitely renders the potentially intense and overbearing character much more likeable then she seems on paper. 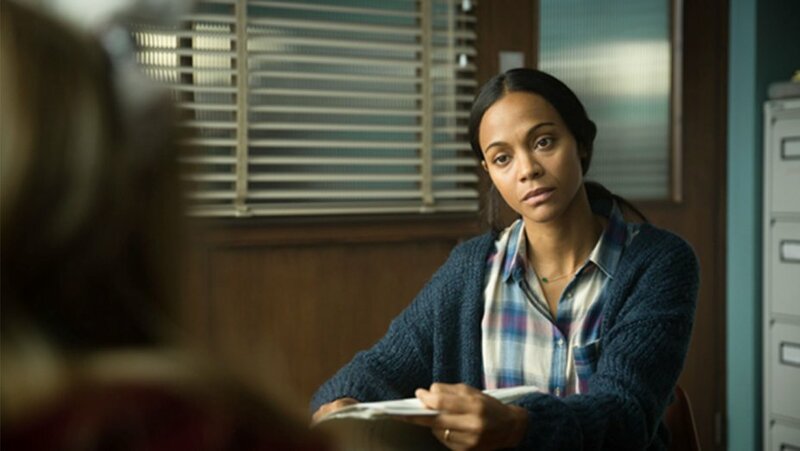 Zoe Saldana is wonderfully understated as Barbara’s concerned school councillor, whilst Imogen Poots brings most of the film’s heartfelt moments as Barbara’s put-upon older sister. In fact, all of the cast deliver nice restrained performances, which contrasts perfectly with Wolfe‘s deliberately grandiose hero-like delivery. I Kill Giants perhaps holds back a little too much on the big high-concept elements, spending too much time in the real world whilst (mostly) teasing us with hints of the full-blown imaginative imagery the marketing promises. It lacks originality and delivers a rather obvious twist that doesn’t quite have the full emotional effect it clearly strives for. And yet, wonderful performances and some top direction keep proceedings buoyed just enough to warrant the watch. If you want to take your kids to see something that explores wider themes then just animated slapstick and toilet humour, I Kill Giants offers a perfect alternative. Tags: Anders Walter, Chris Columbus, Film Reviews, Graphic Novel, I Kill Giants, Imogen Poots, J. M. Ken Niimura, Jennifer Ehle, Joe Kelly, Madison Wolfe, Noel Clarke, Zoe Saldana. Bookmark the permalink.